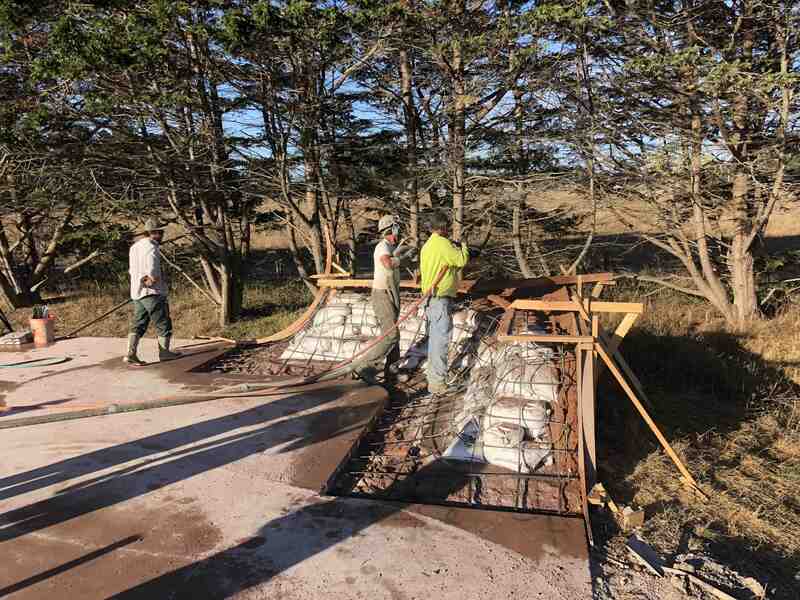 We are raising money in an effort to improve the already existing, but not yet complete, Bolinas skatepark. Completion and improvement of the park will make the park more approachable to beginners, novices, and younger kids while at the same time creating more flow for more experienced skaters. The original skatepark was organized and built by Mark Butler and contributing community members. It was designed and contracted by a group from Arizona. Organizing started in the late 90’s but the original designs were put to a halt when the proposed skatepark had to be relocated to a different area on the Mesa Park property than originally planned . The original designer backed out and the organizing and planning was left alone to Mark. Mark did an amazing job in organizing and working for years to finally get a park built and finished by 2006. The park that was built is a great start to a good skatepark, but it was simply left incomplete. The features on the park are too big to start out on for beginners and are only approachable to highly skilled or even professional skaters. Our vision is a park where younger and beginner skaters can start at the bottom of the learning curve and work their way over time to progress in the park into the bigger already existing features. 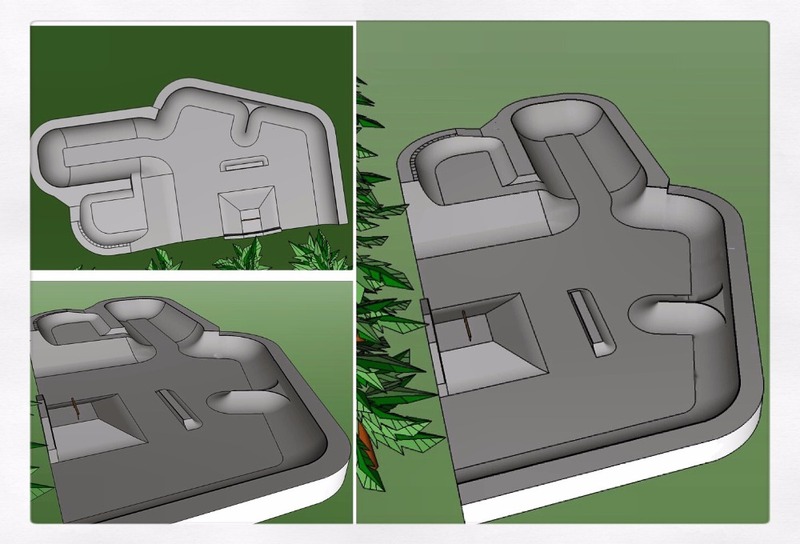 Mark had original visions of a bowl to complete the half pipe area and a more finished flow to the park, but simply didn’t have the resources or funds to create that. What we are fundraising for is an effort to make Mark's and the rest of the local skating community's visions come to reality. We want this to be a community fueled process, including community volunteer work days where people can come and be a part of a positive experience. Together we can work and build relationships with fellow community members while at the same time creating a place where kids and adults alike can come and have a great time skating and progressing in the park. No donation is to big nor to small! 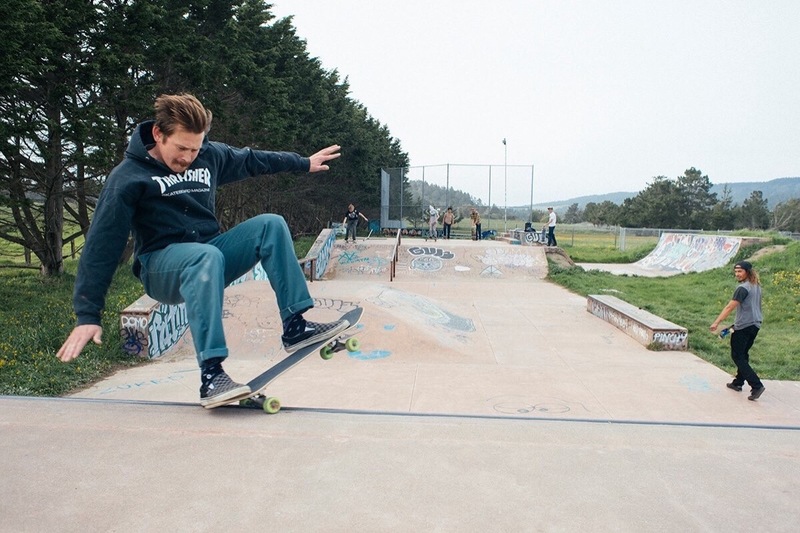 Thank you for contributing to the Bolinas Community Skatepark Fund! Shotcrete has begun on the transitions today, lots of work!! 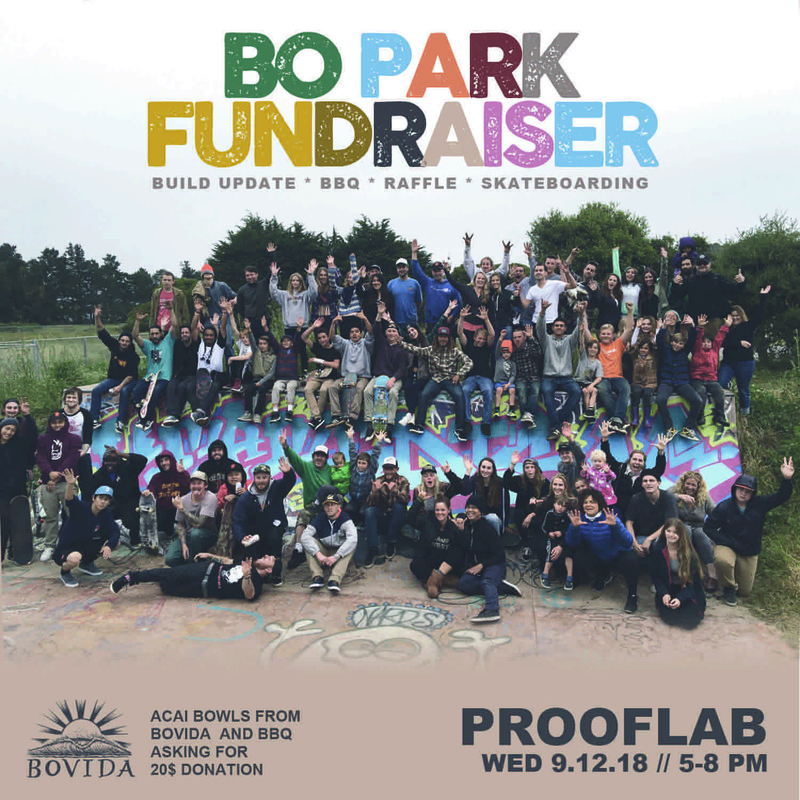 Join us tomorrow nite at Proof Lab from 5-8pm for another effort to raise more funds to complete the Bolinas Skatepark! Hello friends and relatives! 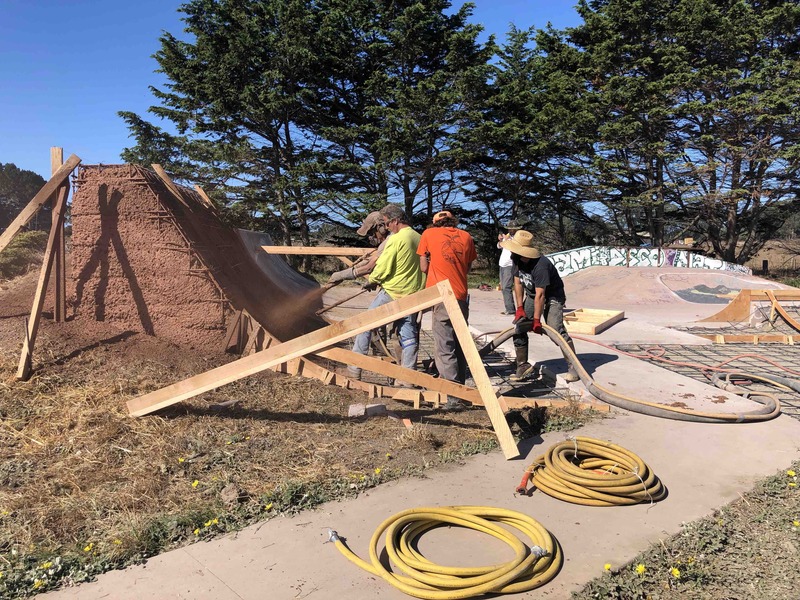 Happy to be greeting you with good news about the skatepark upgrades at Mesa Park in Bolinas! 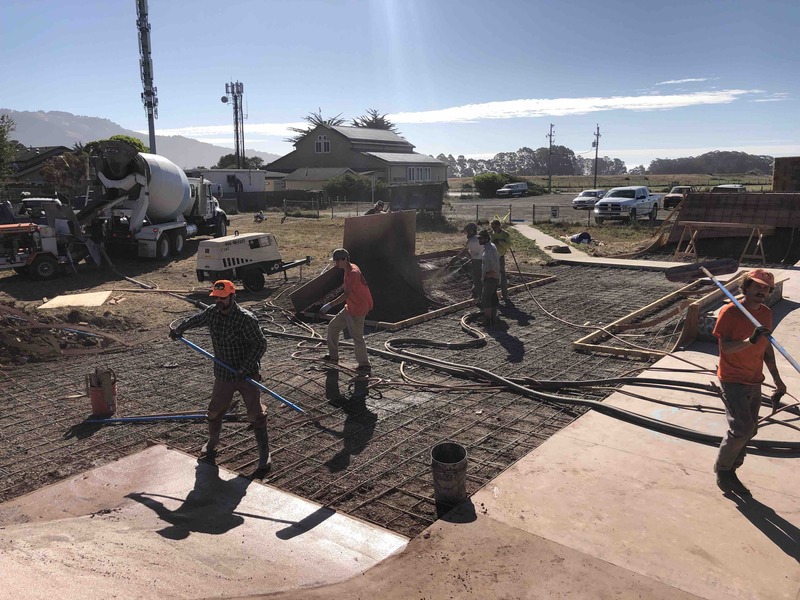 After extensive fundraising and generous donations from the community we’ve gathered just enough funds to create a more expansive and versatile skatepark. With some local skaters and builders input helping to shape a budget-conscious design that offers new possibilities for riders of all skill levels, and were happy to say we’re going to make it happen in the next two months! Jesse McDowell has accepted our request to be the lead foreman on the project. He’s a concrete master from Oregon who comes recommended by our own ripper/builder hero, Jeremy Tuffli. We also would benefit with the use of a tractor, bobcat, or a machine with the powers of earth shaping. The earthwork we can do before the professionals show up will save us a great deal of time and money, meaning more hardened concrete fun stuff for the children! Thank you for hanging in there folks and being patient as we’ve gotten this together. We’re so happy to finally be moving forward on this project. Please stay inspired and involved and reach out if you want to help. We will keep the updates flowing through social medial and the local Hearsay News! We hope to have some exact dates for volunteers to start planning for! If you don’t think you will be able to make the volunteer dates or just aren’t one for hard labor, you can still help out by donating anything you can to our GoFundme! We had an awesome opening fundraiser event for the Bolinas Skatepark this last weekend. Despite the wet weather people came out and truly shredded and showed their support. After the skate jam we retreated to the Community Center where we had great food, wine & beer, dancing, music, raffles and auctions. Thanks to the Bolinas Community Center for hosting us, Proof Lab for so many amazing grab bags, wetsuits, bags, clothing, shoes and art/auction items, 2 Mile Surf Shop for skate decks and other prizes, Flowers and Cooking and Serving amazing Pozole from the Brendels, Bread from the Parkside, Greens from Gospel Flat, Lagunitas Brewing for two amazing kegs of beer and an awesome grab bag of beer & a skateboard, Steely's for their amazing steelware cups, bottles, bags and lunch containers, Thackery Winery for the great vino, the Coast Cafe for a dinner certificate, Penny for her massage certificate, Our amazing bartenders Suraya and Evie (and others that stepped in too!). Thanks to local artists for donating paintings and such, Sarah Hodges, Mike Shine, Justin Ringlein, Blair Tom, Llewellyn Ludlow and Will Hutchinson & Nate at the Lab. Thanks to the awesome DJ's, Omar Epicenter Sound and DJ Adam 12, Thanks to the Mesa Park Board and the Firehouse Community Park Agency throughout this entire process and Jeremy Tuffli for amazing new renderings/design for the skatepark completion. Mark Butler, we wouldn't have the park we have now and the insight to fuel our process without you, thanks so much! Special thanks to all that have supported previously and currently through donations on GoFundMe, at the event, in the raffle and silent art auction! Also big shout out to all of the groms (Eli, Garnett, Leonardo, Willy, Finn, July & more) that helped us set up the event, sell raffles and shredded, and especially Weston for this radical micro documentary he made with everyone. Thanks to the skaters that have been here since the beginning, the ones that made things happen, set an example, worked for their community and galvanized action. A massive loving thanks to all!! Hi guys-You put on a great event yesterday! We (my husband, Michael and my son Marius) are so pleased that you are heading up this important project for our community. Thank you! Thank you to all you generous people for helping out! We will keep the page updated with any new news! Blessings and love! BO YOUTH stand up! Proof Lab has generously donated $5,000.00 to our cause, and we cannot thank them enough!!! We raised $1060 with donations and raffles at last nite's impromptu Bolinas Skatepark Fundraiser at Proof Lab!! Cant wait to skate the new additions! Amazing to see the progress - it's going to be so great.